TMK European Division (part of TMK, one of the world’s leading producers of tubular products), took part in 2015 edition of “Made in Steel”. The event took place at Fieramilano fairground (Milano, Italy) on 20-22 May 2015. “Made in Steel” is one of the most important Exhibition and Conference event in Southern Europe for the Steel industry. This year figures show a 16% increase in sold exhibiting surface compared to 2013, 25% rise in sales and a 5% growth in terms of exhibiting companies. At the fair were present a number of 328 exhibitors, exhibit space sold was 11.100 square meters with roughly 12.000 visitors. 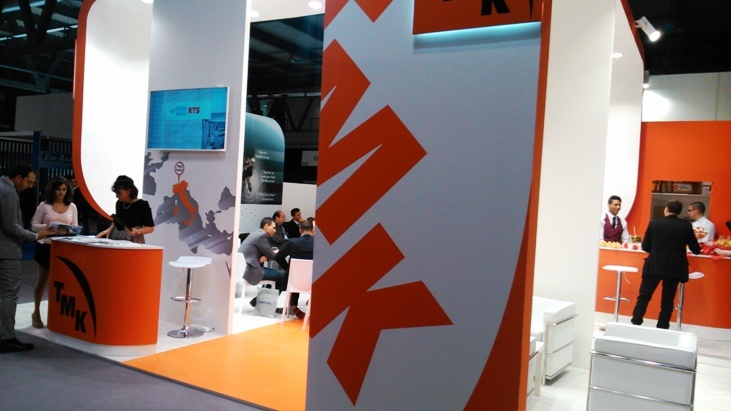 TMK European Division exhibit booth featured a wide range of company products, including industrial and oil&gas pipes. Attendees could enjoy first hand access to product samples of TMK-ARTROM and to obtain complete information about latest investments and product development, such as TMK HYDRA ART inside skived and roller burnished cold finished seamless steel pipes, TMK INOX stainless pipes and TMK UP premium threaded connections. 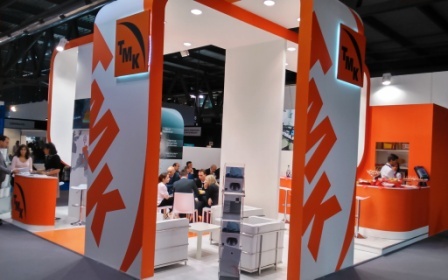 TMK booth also became a venue for many business meetings with industrial pipes consumers from all over Europe and North Africa, offering them an opportunity to discuss ongoing working relationships, joint projects and future cooperation.